Women’s suffrage in Texas was slow in coming as it went through difficult years of being heard and taken seriously. Many states before Texas allowed women to vote in various forms of elections. The women in Texas worked for decades before the amendment granting voting privileges to women was actually passed into law as the Nineteenth Amendment to the Constitution. occurred in Dallas County in 1893 when they formed the Texas Equal Rights Association, also known as T.E.R.A. It was at a convention in the Windsor Hotel that the group was formed with forty-eight charter members. 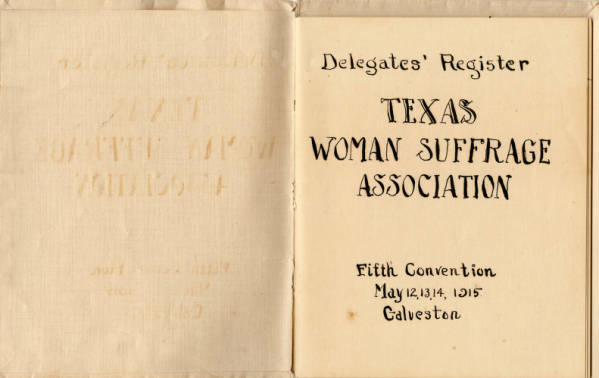 From there, Texas newspapers began carrying suffrage news. The first bill on behalf of women’s suffrage was filed in 1895, but was defeated. Despite the work of the women, TERA was short-lived because of dissension among the members and lack of intense interest. In 1895, when Rebecca Hayes was not re-elected as president, the association entered a period of decline and finally died in 1895. No further interest was shown until three sisters, Annette, Elizabeth, and Katherine Finnigan organized the Equal Suffrage League of Houston in February 1903. From there, a similar organization was formed in Galveston. Delegates from both groups joined together in December of 1903 to form the Texas Woman Suffrage Association with Annette Finnigan as president. For some reason the sisters moved away from Texas in 1905. Without leadership, the group became inactive. Even without this group, interest in suffrage grew in favor others like Jess A. Baker of Granbury who introduced a bill to the House of Representatives in 1907, but his efforts and those of women like Helen Stoddard and Elisabet Ney were of no avail. 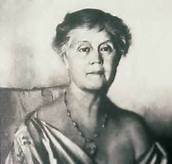 Mary Eleanor Brackenridge became president of the Equal Franchise Society in San Antonio. 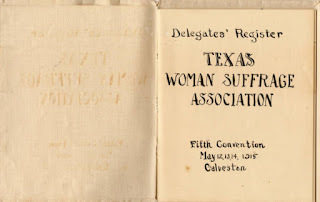 Their goal was to educate the women of Texas with frequent meetings, public lectures and the distribution of literature about the group and the movement. Interest did begin to grow, and in 1913, the Texas Woman Suffrage Association was reactivated with Brackenridge as president. 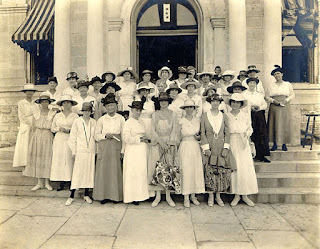 By 1914 the group had over 2,500 women across the state. 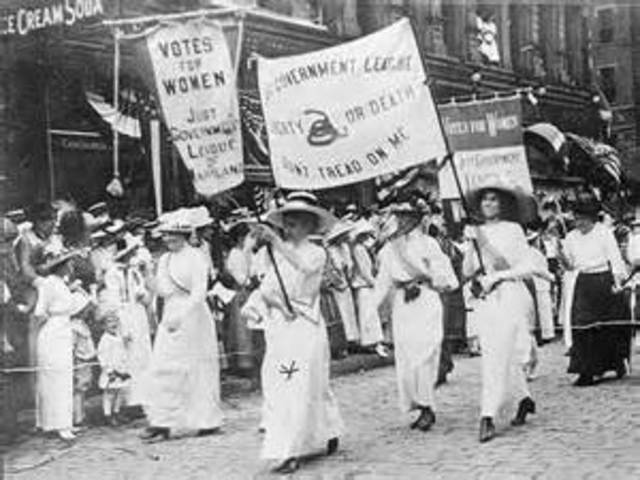 The tenacity shown by these women was somewhat incredible as they continued in their fight to earn the right to vote. Despite numerous setbacks and defeats, Texas finally opened up and allowed women to vote in the primaries in 1918. 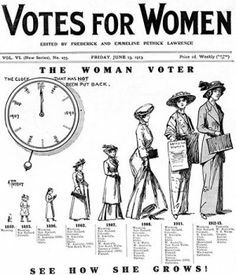 Then Texas became the ninth state to ratify the 19th amendment in 1919 even though it lost the popular vote when it appeared on a ballot as an amendment for the state constitution. Thus, women in the state of Texas did gain the right to vote and a plaque commemorating their efforts was erected in Dallas, Texas on October 14, 2010. Martha’s book credits include a four book historical series, Winds Across the Prairie, Seasons of the Heart, and The Homeward Journey. She is a contributor to devotional anthologies such as Blissfully Blended, Devotionals for Step-Moms from Barbour. She also contributed to novellas, Sugar and Grits, and River Walk Christmas. She is a former President of the Woodlands Chapter of ACFW, WOTS in Houston and president of Inspirational Writers Alive. Martha has been a member of ACFW since the beginning and has served as a volunteer writing Verse of the Week for a number of years. She is also a member of ChiLibris, CAN, and AWSA. Martha and her husband live in Houston, Texas where they are active members of First Baptist Church. They are the parents of three sons and grandparents to eleven grandchildren and great-grandparents to four. Martha is a retired teacher with twenty-eight years teaching Home Economics and English at the secondary level and eight years at the college level supervising student teachers and teaching freshman English. 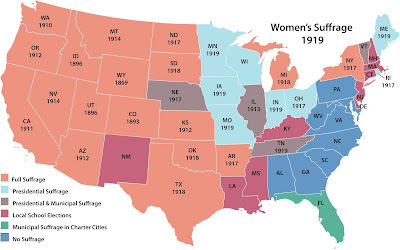 It really is interesting how slowly suffrage crept across the country. In 'older' established places like the northeast it took longer than it did in a few 'modern' states out west. Sometimes it was okay locally, but not statewide. I've done some research into it for my Arizona novellas and really find it fascinating. Of course I live near the Women's Rights National Park in NY, as well. The sad part is how so many women today neglect this right. They vote in a national election but neglect voting in state and local elections. The novella I'm working on now has my heroine and hero at odds over the issue in 1910. It's been interesting uncovering the information during research. Notice how long the south held back. Thanks for dropping by. Great post, Martha. Thank you for sharing!